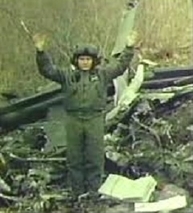 17 Dec 1994: North Korea shoots down US OH-58A+ Kiowa observation helicopter that strayed over DPRK territory. Chief Warrant Officer David Hilemon is killed and Chief Warrant Officer Bobby Hall, the pilot, is released after 13 days in North Korean captivity. 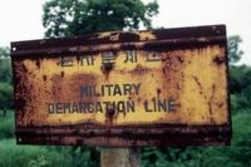 Declassified Pentagon documents obtained by DMZ War show the Army had not provided a GPS navigation device requested by Hall before the flight; he became lost near the DMZ and went into North Korean airspace. See our report below. (August 2014) A fatal helicopter downing and international incident in Korea might have been prevented if a US Army pilot had been given the GPS unit he requested beforehand, which his unit possessed but did not provide him. 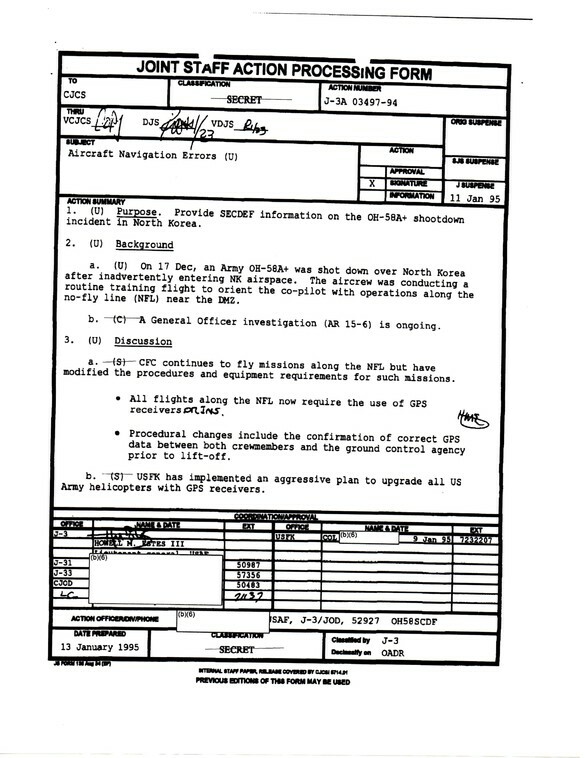 Declassified Pentagon records on the Dec. 17, 1994, incident, in which Army Chief Warrant Officer David Hilemon and pilot Chief Warrant Officer Bobby Hall were shot down over North Korea after getting lost, were released to DMZ War under a Freedom of Information Act request. Hilemon was killed and Hall imprisoned by North Korea for almost two weeks, until America provided the North Koreans with an apology. 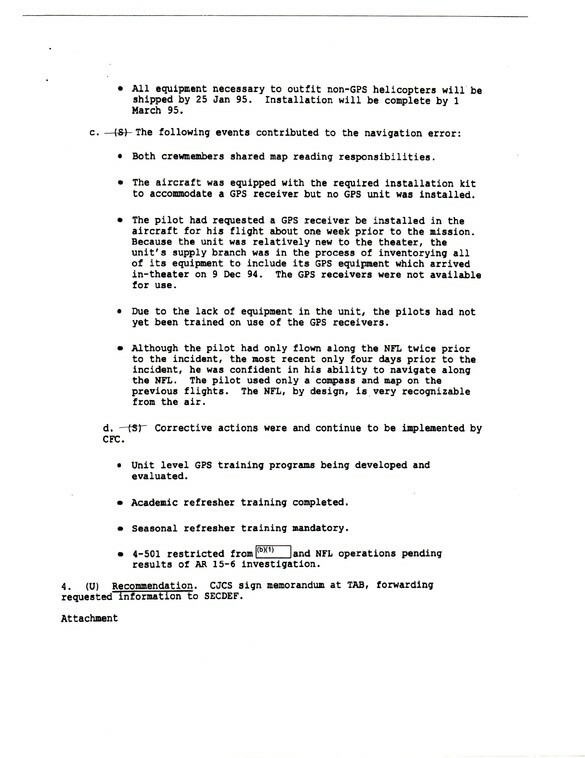 “The pilot had requested a GPS receiver be installed in the aircraft for his flight about one week prior to the mission,” the documents reveal. Hall’s OH-58A+ (OH-58D by some reports) observation helicopter was equipped to accommodate the receiver. But Hall’s unit, new to Korea, was “inventorying all of its equipment to include its GPS equipment,” which had arrived on Dec. 9th. “The GPS receivers were not available for use,” the documents claim. The report fails to explain why inventorying the GPS receivers took so long and was deemed more important than providing a powerful navigation tool to a pilot about to enter some of the world’s most dangerous airspace, where lost US aircrews had been downed by North Korea in the past. By 1994, GPS receivers were installed in some Oldsmobile cars and advertised on television by Avis, but the military-developed system had still not been installed on helicopters flying near North Korea. Had Hall been using a GPS receiver, which provides a satellite-based report on its exact location, he almost certainly would not have gotten lost. A secret report to the Joint Chiefs shortly after the downing noted: “All flights along the NFL now require the use of GPS receivers” or Inertial Navigation Systems (INS). The “No-Fly Line” is a geographic boundary south of the Korean DMZ, past which US aircraft are not supposed to fly lest they enter North Korean airspace. The US military also “(i)mplemented an aggressive plan to upgrade all US Army helicopters (in Korea) with GPS receivers,” new procedures for NFL flights and extra training for Army aviators. CW2 Hall was taking CW2 Hilemon on an orientation flight south of the Demilitarized Zone (DMZ) separating North and South Korea. The declassified file says Hall had only flown there twice before, but was “confident in his ability to navigate along the NFL” with just a map and compass. However, on the day of the flight snow covered the area, according to media reports. Hall apparently “turned north up the wrong valley” toward North Korea. Concerned they had made a navigation error, the pilots checked their map, but again mistook their location. They continued flying under the incorrect assumption their chopper was being tracked by US radar operators, who would warn them if they got lost. In reality, they were speeding into North Korean airspace and neither they nor their controllers back at base knew it. Hilemon, of Clarksville, TN, was killed in the crash and Hall captured. The downing came at a sensitive time, with America and its allies in the early stages of a plan to trade billions of dollars in aid for North Korean promises to halt its nuclear weapons program (a plan which later failed for other reasons). The declassified Pentagon documents also include a review of Hall’s legal status while a North Korean captive. Based on an “exhaustive analysis of the legal status of the Korean armistice” by the State Department years earlier, and a Department of Defense study from the previous year involving American military flights over Iraq, the December 1994 report concludes Hall was a prisoner of war “entitled to all GPW (Geneva Convention prisoner of war) protections, including visits by the ICRC (International Committee of the Red Cross).” This legal report has implications for future DMZ incidents and can be found here. In a story headlined “KPA Shows No Mercy to Aggressors,” the official KCNA news service stated on April 26, 2013, that: “An anti-aircraft gun of the KPA shot down the helicopter (in 1994) with a single shot, displaying its fixed will to show no mercy to the aggressors. The bellicose forces of the U.S. tried to settle the case in a coercive way, concealing its truth. Instead of making an apology, they demanded a prompt repatriation of pilots and threatened that refusal to meet this demand would badly affect the implementation of the DPRK-U.S. Agreed Framework. In this regard, general secretary Kim Jong Il instructed the KPA mission in Panmunjom to strongly take the U.S. to task for the case. 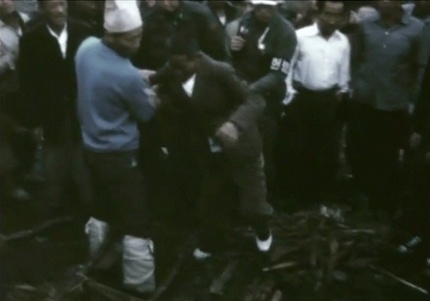 Accordingly, the mission urged the U.S. side to frankly admit and apologize for the intrusion of the helicopter, declaring that the captured pilots would never be sent back unless it has made an apology.